We specialize in all of these services. In addition we install high efficiency pool heat pumps among other energy saving items. Another service we offer is Manual J load calculations. 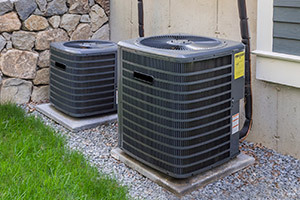 If you have altered your home or employed some energy efficient measures, your air conditioning system may be oversized or undersized. A load calculation analyzes the current heat load of your home as it exists. A properly sized air conditioner is extremely important especially in Florida where we have very warm temperatures and high humidity. A system sized too large will cool just fine but won’t run long enough to remove humidity sufficiently and an undersized system won’t be able to cool properly during very hot weather. The idea is to “Right Size” a system. If you don’t measure you are just guessing. This is the place to start. 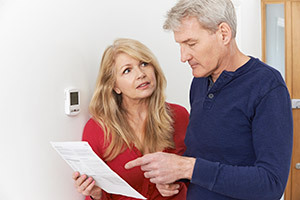 Our free energy audit consists of analyzing your current energy consumption and determining what you can do to conserve energy and reduce your electric bills. Noah Blanco, one of our State Certified Energy Raters, wrote a computer modeling program which breaks down your electric bill and shows where your home uses energy. We then provide you with a detailed report listing, in order of most cost effective to lease effective, measures you can take. We will also provide a cost for each item, the estimated savings for each, a return on your investment, plus any Federal, State and utility company incentives available to encourage you to conserve energy. If your ductwork is less than ten years old we do a blower door test where we depressurize your home and test each air conditioning register for leakage. Typically if your ductwork is more than 10 years old we do a duct blaster test which measures the total leakage rate. This test is similar to the blower door test except we depressurize the duct system instead of the entire house. We seal off the all the registers and measure the actual rate of leakage in the duct system through energy audits & diagnostic testing. HERS stands for Home Energy Rating System. 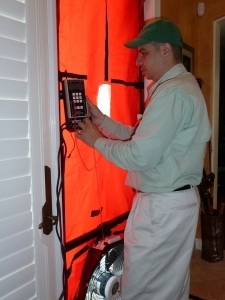 This Energy Audits & Diagnostic Testing can be done only by a State Certified Energy Rater. At FL Green Team, we do a Blower Door Test and a Duct Blaster Test, along with recording the R value of the homes insulation, the type of windows, construction type, overhangs, home orientation, water heating source and a host of other data. All that data is loaded into the Florida Energy Gauge software and a Building Energy Rating Guide is produced. This puts your home on a scale that rates how efficient your home is compared to other houses of similar size. This test is required for “Energy Star” designation. Call 239.432.1500 for more details and to schedule a home energy survey. The FL Green Team has qualified Energy Audits & Diagnostic Testing professionals available to help homeowners and business property owners assess their energy consumption with Energy Audits & Diagnostic Testing. If you are planning on building a new home or renovating an existing home or building contact us first. In many cases we have found people have a home or building, designed to their liking only to find out that it is going to be costly to maintain due to high energy costs. Call 239.432.1500 for more details and to schedule a home energy consultation.